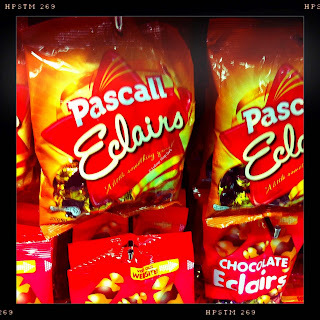 Sydney Shop Girl: Listography - My 5 Favourite Sweets From Childhood. Listography - My 5 Favourite Sweets From Childhood. A topic very close to my heart. This week, Kate from Kate Takes 5 is asking us to delve deep into our childhoods and list 5 favourite lollies from childhood. I have to explain my list because it is a bit weird. I went to a primary school where lollies, chips and soft drink were banned. Being resourceful girls, we made the best with what was at hand. 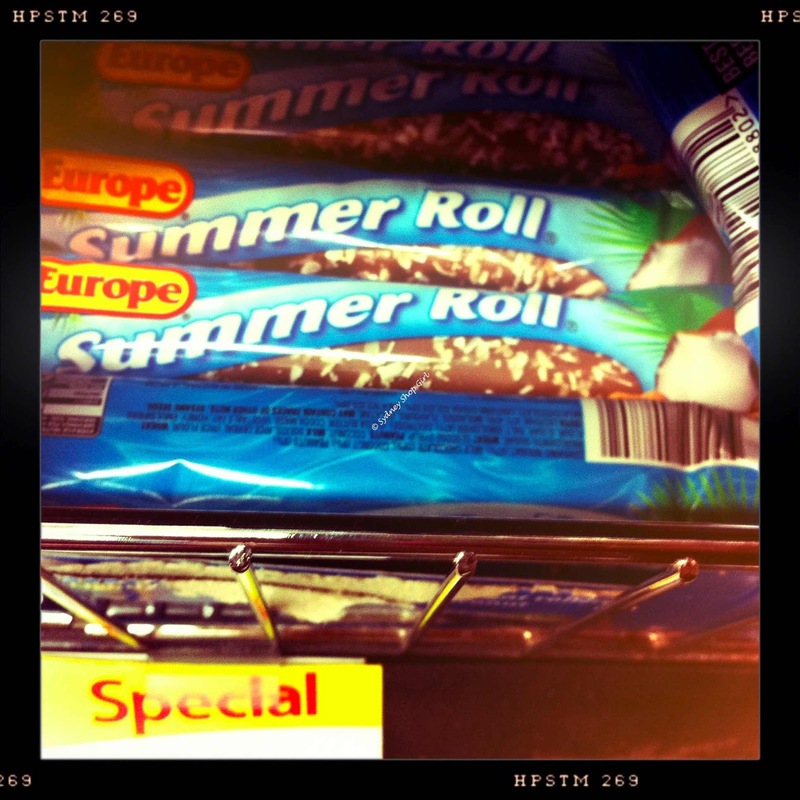 The only hard sweet available at the school canteen. Always a best seller even outside of the peak flu season. 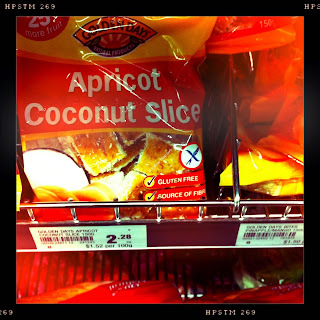 There's less apricot in them these days and the layer of dessicated coconut isn't as thick as it used to be but these were another favourite at school. In my time, there were these. 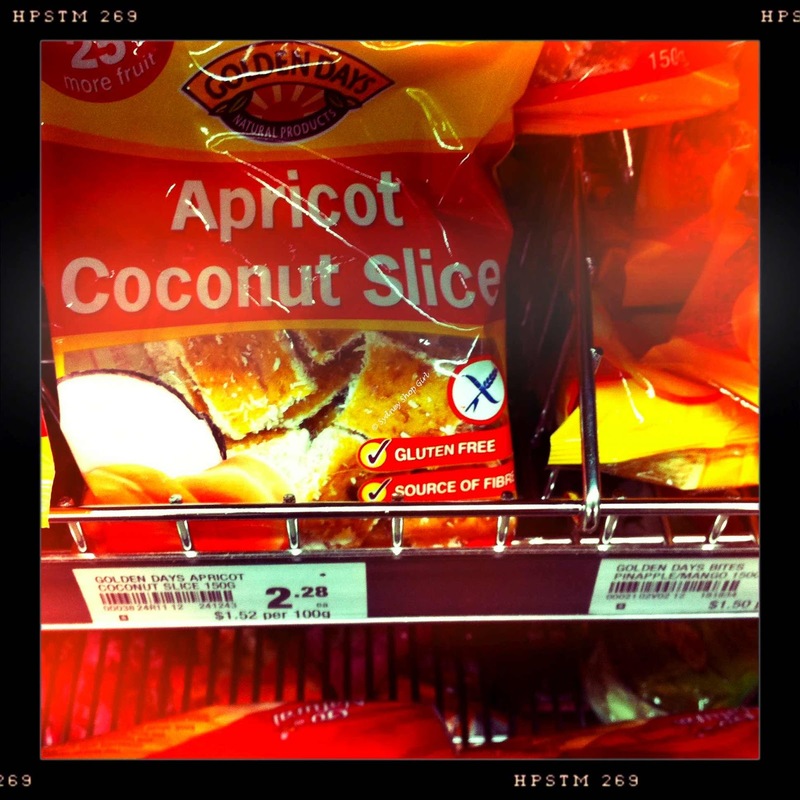 The real deal with 100% synthetic non fruited based colours and flavours. My favourites were red and orange. Then, the nanny state version arrived on the scene. 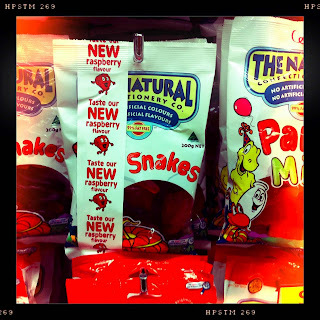 Initially notable for the lack of red snakes and vivid colour to their products (wasn't that the appeal?). But I notice they've recently relented on this issue and now have a raspberry flavour. My mum and dad loved these too. So many ways to eat them. Chewing to mix the caramel and chocolate layers, just sucking them or getting to the chocolate first. 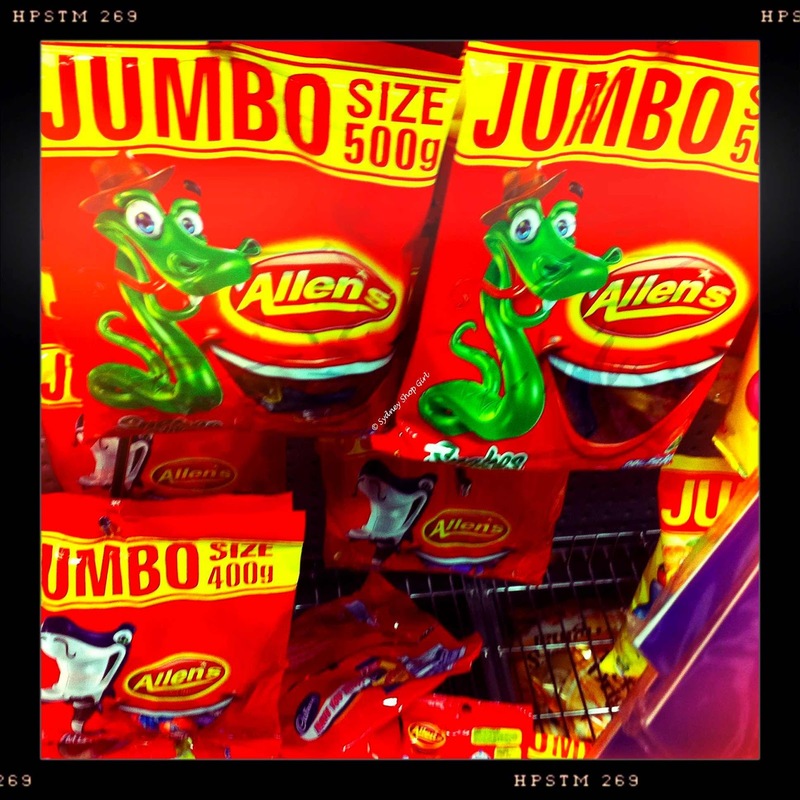 While I was on this trip down a candy coated memory lane, I tried to find my favourite after school snack. Sara Lee's chocolate cake. It used to be a dense (essence of) chocolate butter cake with a layer of Bettty Crocker like chocolate-ish frosting. I loved the reassuring sweetness and the synthetic super fine texture of the cake. It's gone all high art these days with a splattering of chocolate flakes for garnish. How about you? What were your childhood favourites? May have to copy it. 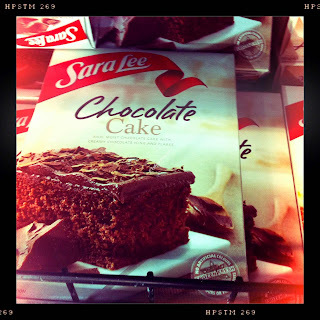 You know what Sara Lee cake I loved the most... their strawberry cheescake... eating it semi frozen was the BEST. My mom would get these cherry-flavored cough drops that were so good! I would pretend to have a sore throat just so I could get one, haha! In other words, I know what you mean. Wah. We have different tastes. I think as a child my favourite treats were always more of a salty type. i loved salt n vinegar chips. i wasn't much into sweets. i loved Sunny Boy iceypoles though. On a hot lunch time they were always a hit. Too big to finish on a recess though. I remember we had "fruit tingles" as a sweet option at our canteen. they weren't the life saver type of fruit tingles though. they were like black fruit balls with coconut around it. i dunno how to explain it! Loved the Butter Menthols. 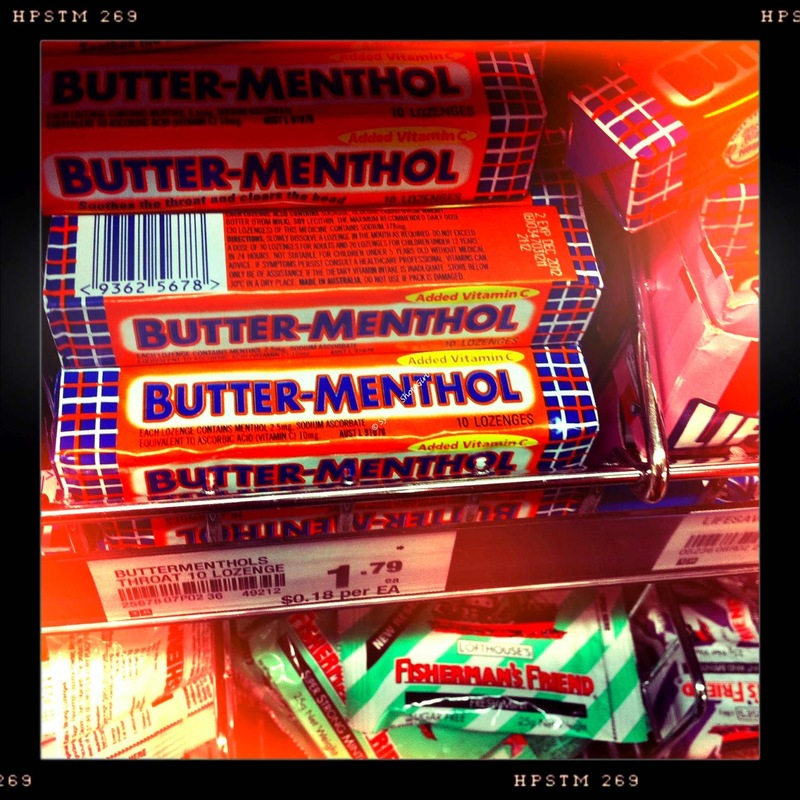 I always remember that you felt sick from overdosing on menthol if you ate too many! I was thinking about this, whether I'd participate in this listography. And I decided against. I didn't eat lollies as a kid, and don't much now. 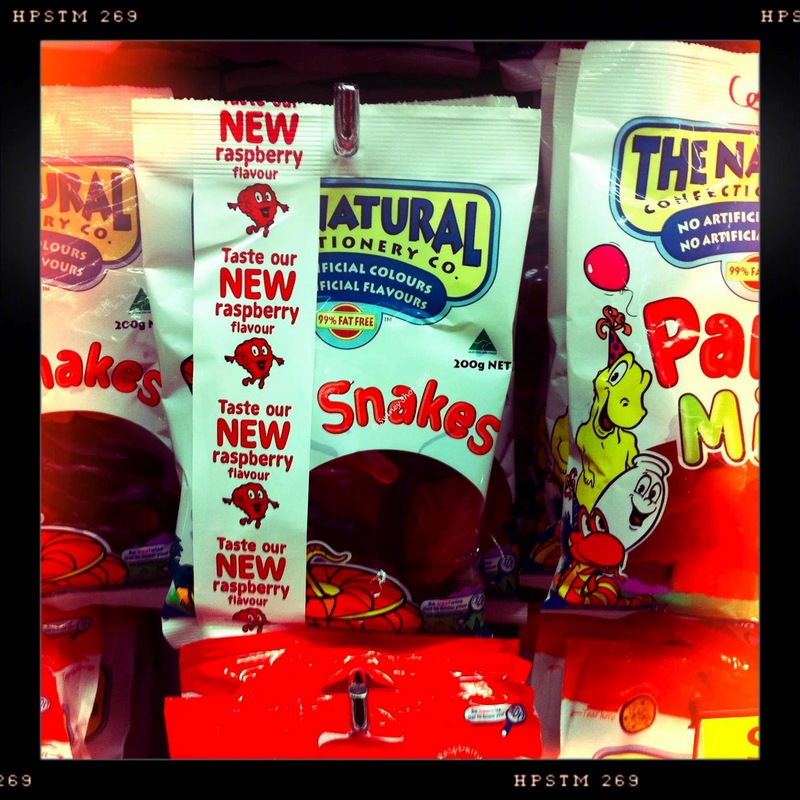 I only like Chicos (chocolate jellybabies) and the Natural Sweet Company range. I also like Milkyways. As a kid, my parents and doctors didnt let me eat lollies or chocolate - only about twice a year. At easter I would get an LP record. I hate caramel. And also hate butter menthols and all forms of cough lollies. Well, this has been a rather negative comment for a very cheery post you wrote. Sorry. I do like good dark chocolate and cheese and cake. 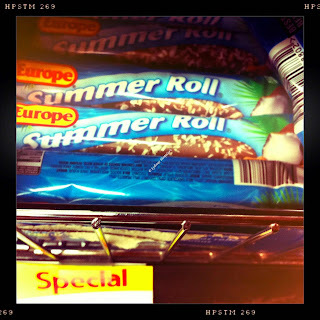 I always loved Summer Rolls and Chokitos. We used to go to the shop for 50c of mixed lollies and it would be a huge bag. yum I love sweets. I used to have carob lots when I was a child. You don't see it around much now. i've never heard of any of these ... but i wish i had! yum.